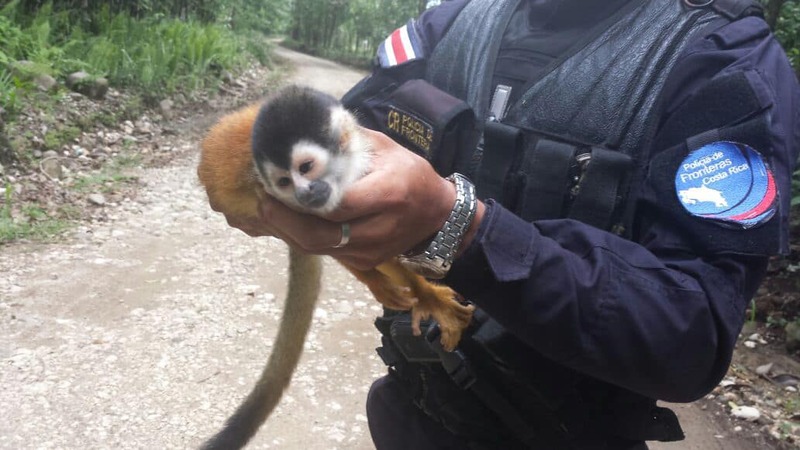 Police discovered an injured baby squirrel monkey while on patrol in the Amistad National Park along the border with Panama Tuesday, according to the Public Security Ministry. The tiny primate apparently fell from a tree and suffered a head injury. Authorities handed the monkey over to the Alturas Wildlife Sanctuary in Dominical, Osa for care. Squirrel monkeys are among the rarest in Costa Rica and are considered at risk of becoming endangered, according to the National Biodiversity Institute.